Medicine-On-Time is a medication management system that eliminates the time-consuming hassle of keeping track of multiple medications. 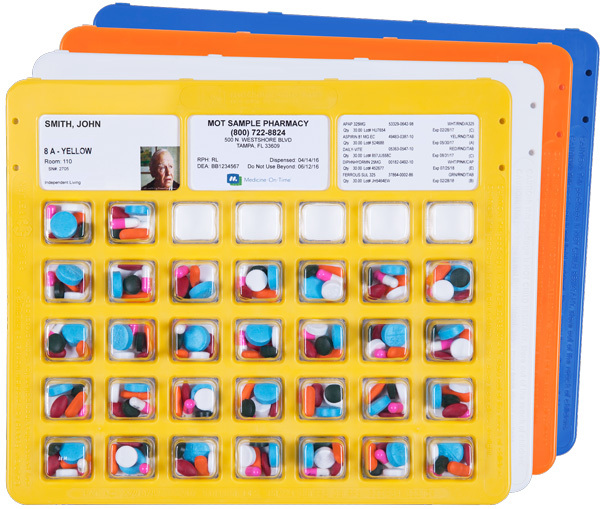 With our simple, color-coded calendar cards, medications are packaged into the proper dosages and clearly labeled for easy, consistent compliance. The many benefits of Medicine-On-Time improve the quality of life for patients and the ones they love. The right dose, at the right time. Each dose cup in your calendar card has been expertly prepared by your pharmacist. Your personal dose cup contains the exact medications you need to take and is clearly labeled with the contents and the precise time to take them. 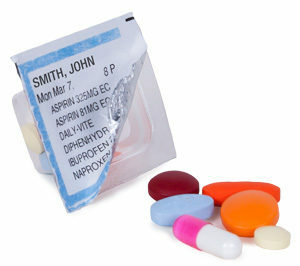 In this easy, reliable system, your monthly medications are packaged by time of day into color-coded calendar cards. You can remove a single dose cup, or take several with you for added convenience on the go. Instead of making multiple trips to the pharmacy every time you run low on a medication, let your Medicine-On-Time pharmacist synchronize and expertly prepare your medications by time of day, prior to you running out.